The Randy Report: Trump Disses Argentine President "Get Me Out Of Here"
Trump Disses Argentine President "Get Me Out Of Here"
I had seen this clip over the weekend of Donald Trump onstage in a photo opp with Argentine President Mauricio Macri at the G20 summit. Argentina played host for the economic event. At the time, most thought Trump was just wandering off, as he is want to do. Turns out, he just wanted to leave. 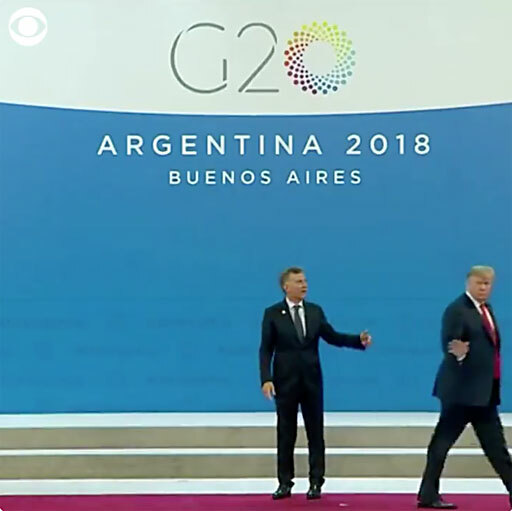 CBS News now has audio of Trump off-stage telling someone to "get me out of here" as the Argentine president was just left standing there.